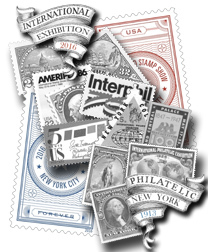 Starting in our August 14, 2015 Issue we have presented news of the 11th U.S. International Stamp Show, held May 28-June 4, 2016, along with a historic look back at the previous 10 U.S. Internationals. Through our two predecessor publications, Mekeel's Weekly and STAMPS Magazine, which we merged together in 1995, Stamp News Publishing is in the unique position of having covered every U.S. International on the scene at the time they were held, and we were pleased to reproduce some of that coverage in ten Special Editions leading up to the 2016 U.S. International. What you will find in this two-part presentation is a compilation of the material from those 10 Special Editions, including WSS-NY news updates. Note that, as these pages are being brought in from different editions, the dates on the pages in this compilation will be the dates of the issue in which the material first appeared. The pages, however, will be in consecutive order to enable you to follow the cross-references between pages. Finally, what you will find here also is an example of the coverage you can enjoy in each issue of Mekeel's & STAMPS Magazine. In addition to current news and commentary we also present the articles of lasting value from the great experts and writers of the past, including Stanley Ashbrook, the Baker Brothers, Herman Herst, Jr., George Sloane and dozens more. To subscribe to Mekeel's & STAMPS print or Online editions, phone 603-424-7556, email subs@stampnewsnow.com, or click for an Order Form.